The bully gave Robert a clout. That businessman has a lot of clout with the government. A hard clout to deep center field drove in the winning run. Robin Hood hit the clout every time. The fighting children were clouting each other. A clout nail is a short, thick nail with a broad head, used for attaching sheet metal to wood. An earlier meaning of clout is a piece of cloth or leather. By extension, it was also sometimes used pejoratively to mean an article of clothing. because of this, a dishcloth used to be called a dishclout! Although you are unlikely to hear clout used with those meanings these days, you may sometimes still hear the old saying “Ne’er cast a clout till May be out,” meaning don’t remove any layers of clothing before the end of May, when the weather is sure to start really getting warmer. Clout dates back to before the year 900. The Old and Middle English noun clūt, and originally meant ‘a lump of something,’ as well as ‘a piece of cloth or metal’ (as you may have read above), often the cloth, metal and later leather used to patch something. It can be traced back to the Proto-Germanic klutaz, and is related to the Old Norse klute (kerchief), the Danish klud (rag or tatter), the Frisian klut (lump) and the Dutch kluit (clod or lump), as well as the English words clot and cleat. The cloth sense, which could be used informally for ‘handkerchief,’ was also used colloquially to mean ‘a woman’s sanitary napkin,’ but that sense is now obsolete. 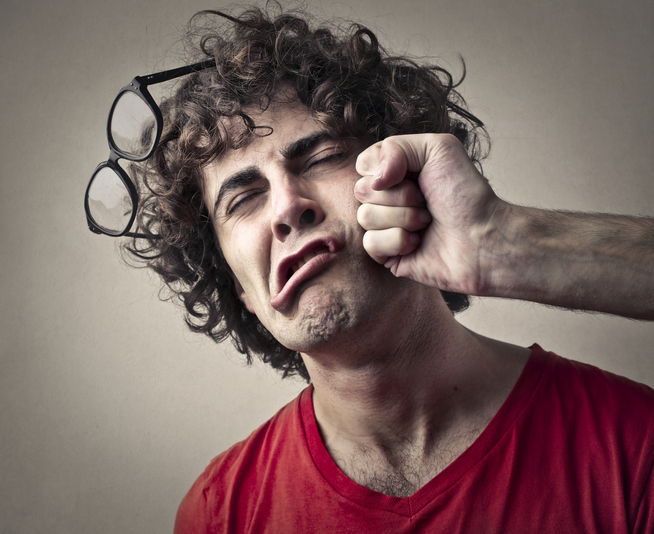 The verb comes from the noun and, meaning ‘to beat or strike with your hand,’ dates back to the early 14th century. Interestingly, the noun’s sense ‘a blow’ dates back to around the year 1400, and comes from the verb. The figurative noun sense, ‘strong influence,’ comes from this later sense of the noun, and dates back to the late 16th century, though it was not used as much until the 20th century.